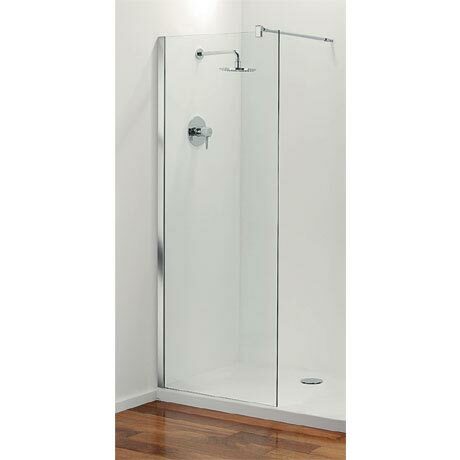 With Stylus the 8mm glass panel is held firmly in place by a slimline brace and superbly engineered brackets. As a further alternative, panels can be supported with a more discrete shortened brace and bracket, mounted at an angle. This front panel can be fitted in an alcove or different combinations can be acheived when fitting in a corner when combining with a 700mm End Panel and 200mm Return Panel (sold separately). Please note - shower tray, side and return panels sold separately.